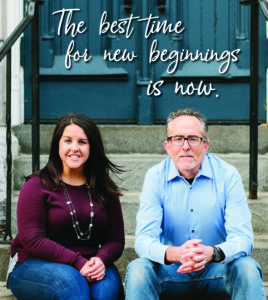 CAMP HILL, PA – January 22, 2019 – Konhaus Print & Marketing, a graphic design, print, direct mail and signage company, announces a change of ownership of the local small business. Paul Konhaus Jr. has sold the company to long-time employee, Sarah Barr. Though exciting changes are in place, Konhaus assures that business will continue as usual. All the employees and the location will remain the same. You can expect the same great products and services, and they are excited to expand what they offer to their clients. “I couldn’t feel any better knowing I sold my company to an employee that is as honest and hard-working as Sarah. I know our customers and employees are in the right hands, and I am excited to see what she will do in the future,” said Paul Konhaus Jr. Established in 1991, Konhaus Print & Marketing is a local creative, printing and marketing company in Camp Hill, PA. Konhaus offers expertise and personal experience that will make a noticeable difference in your marketing. Partner with Konhaus Print & Marketing for all of your graphic design, printing, direct mail, signage, and promo product needs. To meet the team and learn more about what products and services are offered, visit konhaus.com.